Thank you all for giving the box a 1 year anniversary gift! Dan, you are the man. 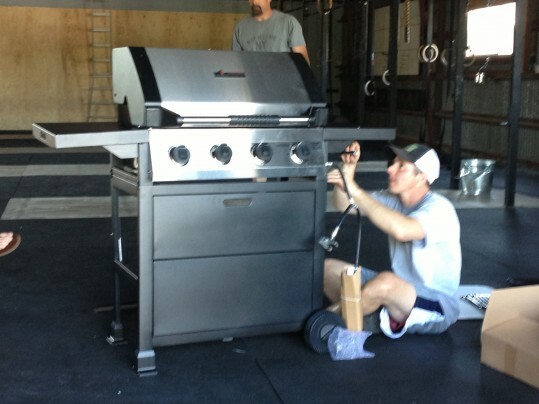 Thanks for organizing the purchase of the new ACF grill. And Katy, that is so awesome of you to give us a flag that was flown in Afghanistan while you were serving our great nation, thank you! And I can’t forget, thank you Chris for bringing in a tap for the box and also volunteering to buy our first keg!!! May 12 – Mothers Day! May 27 – “Memorial Day Murph” 9am, then help us (E & Ro) move to Cool, CA if you have time! 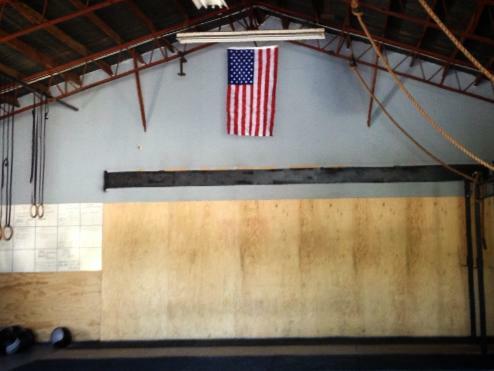 June 1 – American River CrossFit Anniversary WOD & Party (5 years!!!) I’d like to get a group down there to do the WOD with them. June 22-23 – Fittest of the Sierras – Coach Molly is competing! July 19 – one evening class, Kyle’s Birthday & Christmas in July! and now do it again!!! A fine couple of months on the horizon! Also, Bri Guy are you still looking to shadow a PA? I think I may have finally found you one. Kelsey! 🙂 Excellent work! I am definitely still in the market for a PA to shadow. I’ll message you on facebook. That is a lot of things happening. I hope I can join in as many as my schedule will allow. This workout was a tough one for me today. I wasn’t feeling up to my usual chipper self. I ground it out to the best my mind and body would allow. Good luck to all you afternooners getting Franned twice. Had been thinking about this workout most of the day hoping E was kidding…he’s not really serious right. Actually turned out to be not too bad, of course I can say that now that it’s done, what a way to start a week!